"Boogity, boogity, boogity! Let's Go Racing!" Winning is in every racer's blood. They continually push themselves to the edge, physically and emotionally, in pursuit of the checkered flag and a visit to Victory Lane. It is the racer's way. We too are racers in the middle of the greatest race known to mankind: life. We want to live in a way that, when we reach our finish line, we can be proud of what we've accomplished. We want to be an example for our family and friends. And if we are a follower of Christ, we want to hear the words "well done my good and faithful servant." In The Race, Motor Racing Outreach leaders Billy Mauldin and Kyle Froman share the lessons they've learned in the pits and among the NASCAR community to help others with their personal mission—preparing for it, receiving it, and then living faithfully on mission. 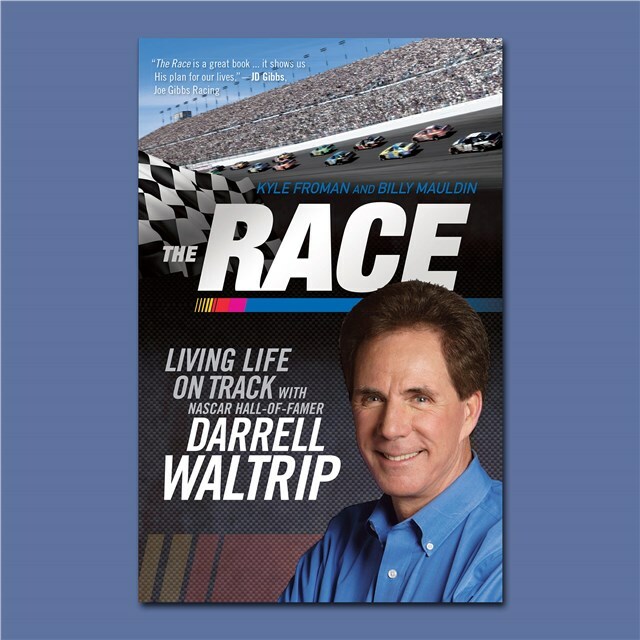 Throughout, three-time NASCAR champion and Hall of Fame inductee Darrell Waltrip offers related stories on what it takes to win the race, giving fans an inside look at his profession and the personal belief in God that keeps him on mission. All copies are signed by Darrell Waltrip.